How do you train a heart to love what is right, pure, and true? 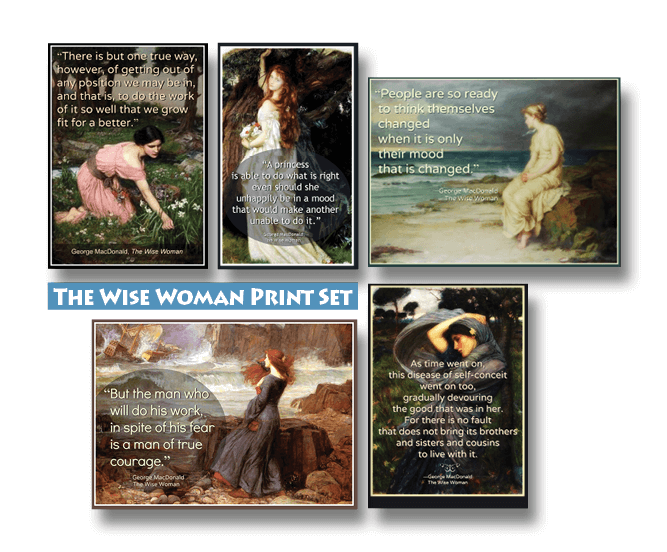 Introduce your children to the Wise Woman! The Wise Woman enchants readers while it contrasts the ugliness of pride, selfishness and conceit with the beauty of humility, sacrifice, and compassion. Surround your family with insightful quotes from the pages of George MacDonald’s classic fable. Let the Wise Woman train our hearts to love what is right, pure, and true.